One of the supplier, contract manufacturer, and multi-level-marketer, Isha Agro Developers has gain a great name in herbal and Ayurvedic product manufacturing. 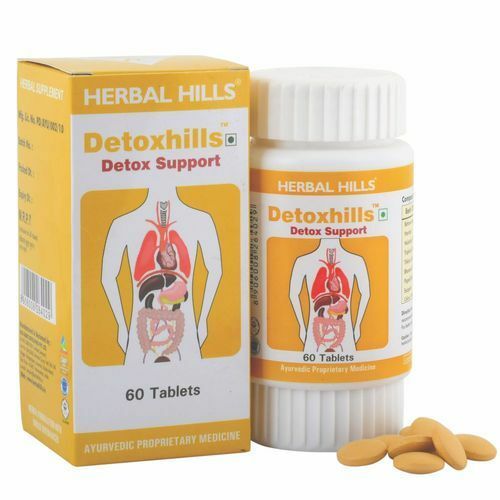 we are renowned manufacturer of herbal supplements and it offers Detoxhills, which is a blend of high-quality herbs. Basically, Detoxhills is an Ayurvedic formulation of Triphala, Trikatu, Harde, Bahava Magaj, Nishottar Ghana, Pippali (kadha). These herbs collectively may have carminative, antioxidant and digestive properties. These herbs are synergistically selected and blended together to form easy to swallow tablets. It may help in gently cleansing and detoxifying the liver, colon and the whole body. It may also help in managing constipation, flushing out toxins, and may improve the digestion. It may also help in enhancing the immune system. Additionally, these palatable tablets may encourage the whole-body detox and increase the energy levels. These tablets may help in healthy detoxification and thus aid in digestion. It also supports normal bowel functioning. Take 1 to 2 tablets at bedtime or as directed by the physician. For better results, it should be taken with warm water.